Labouchere, Henry, 1790-1869 (4) - MP for St. Michael's Borough 1826-30 and Taunton 1830-59. Filled several political appointments, including Secretary of State for the Colonies 1855-59. Laird, John, 1805-1874 (2) - Shipbuilder, one of the first to turn his attention to building vessels from iron. Represented Birkenhead in the House of Commons, 1861-74, after retiring from business. Lavradio, Conde do, 1797-1870 (2) - Career diplomat and constitutionalist. Had several European postings before serving as Portuguese Minister to Great Britain 1851-69. Layard, Austin H., 1817-1894 (14) - Excavator of Nineveh and other Assyrian sites 1845-51. Under-Secretary for Foreign Affairs 1853 and 1866. Also served as British Minister in Madrid 1869-77 and in Constantinople 1877-80. Layard, Edgar L., 1824-1900 (1) - Brother of Sir Austin H. Layard and a distinguished ornithologist. Appointed by Sir George Grey director of the South African Musuem, Cape Town. Letts, Thomas, 1803-1873 (1) - London bookbinder and manufacturer of diaries. Livingstone's Trustees (2) - James Young, Andrew Buchanan, and James Hannan. Livingstone, Agnes 1, 1782-1865 (23) - Wife of Neil Livingstone and mother of David Livingstone. Livingstone, Agnes 2, 1823-1895 (8) - Sister of David Livingstone. Livingstone, Agnes 3, 1847-1912 (81) - Eldest daughter of David Livingstone. Went to England with her mother in 1852, accompanied her father in 1864-65. Married Alexander Low Bruce in 1875. Livingstone, Anna M., 1858-1939 (3) - Youngest daughter of David Livingstone. Married Frank Wilson in 1881. Livingstone, Charles, 1821-1873 (18) - Brother of David Livingstone. Educated at Oberlin College, Ohio 1840-47, and Union Theological Seminary, New York 1847-49. David's assistant on the Zambezi Expedition. Livingstone, David 2 (1) - Nephew of David Livingstone. Livingstone, David, 1813-1873 (18) - Famous Victorian explorer, missionary, and abolitionist. Renowned for his travels across Africa and extensive manuscript corpus. Livingstone, Harriette C., 1825-1900 (3) - Of South Attleboro, Massachusetts. Graduated from Oberlin College in 1847. Married Charles Livingstone in 1852. Livingstone, Janet 1, 1818-1895 (13) - Sister of David Livingstone. Livingstone, Janet 2 (1) - Niece of David Livingstone. Livingstone, John, 1811-1899 (8) - Brother of David Livingstone. Emigrated to Canada, where after some years he settled as a farmer at Listowel, Ontario. Married Sarah Mackenzie of Glasgow. Livingstone, Mary, 1821-1862 (20) - Eldest daughter of Robert Moffat. 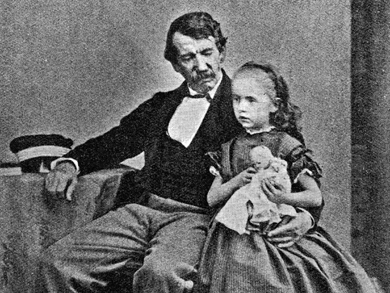 Married David Livingstone in 1845. Accompanied him on his early journeys, but sent to England 1852. Returned with him in 1858, but could not go beyond Cape Town. Rejoined him 30 January 1862, and died 27 April 1862. Livingstone, Neil 1, 1788-1856 (14) - Tea-vendor in Blantyre and father of David Livingstone. Livingstone, Neil 2 (2) - Cousin of David Livingstone. Livingstone, Neil 3 (3) - Nephew of David Livingstone. Livingstone, Robert M., 1846-1864 (7) - Eldest son of David Livingstone. Went to England with his mother in 1852, returned to South Africa in 1863 to meet his father, but failing to do so went to the United States, where he was killed in the Civil War. Livingstone, Thomas S., 1849-1876 (18) - Second son of David Livingstone. Went to England with his mother in 1852. Lived in Egypt for the benefit of his health, but without result. Livingstone, William O., 1851-1892 (11) - Third son of David Livingstone, generally called "Oswell" or "Zouga." Went to England with his mother in 1852. 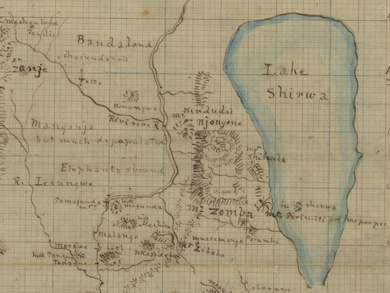 Joined the Livingstone Search Expedition in 1872, but did not reach his father. Loader, John (2) - Resident of Thame, Oxfordshire. Logan, William, 1813-1879 (2) - Philanthropist who attended Anderson's College with Livingstone. Louden, James, ?-1902 (4) - Physician in Hamilton. Lucas, Charles S. de Neufville, ?-1887 (1) - Officer in the Royal Artillery (Bombay). Captain 1863. Lieutenant Colonel 1873. Colonel 1878. Major-General 1883.